To meet day-to-day expenses: After establishment of a business, funds are needed to carry out day-to-day operations e.g., purchase of raw materials, payment of rent and taxes, telephone and electricity bills, wages and salaries, etc. To fund business growth: Growth of business may include expansion of existing line of business as well as adding new lines. To finance such growth, one needs more funds. To bridge the time gap between production and sales: The amount spent on production is realised only when sales are made. Normally, there is a time gap between production and sales and also between sales and realisation of cash. Hence during this interval, expenses continue to be incurred, for which funds are required. To meet contingencies: Funds are always required to meet the ups and downs of business and for some unforeseen problems. Suppose, a manufacturer anticipates shortage of raw materials after a period, then he would like to stock the raw materials in large quantity. But he will be able to do so only if sufficient money is available with him. To avail of business opportunities: Funds are also required to avail of business opportunities. Suppose a company wants to submit a tender for which some amount of money is required to be deposited along with the application. In case of non availability of funds it would not be possible for the company to submit the tender. 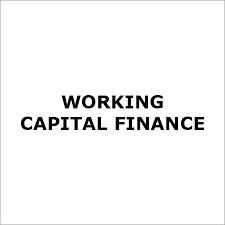 Every Business requires working capital finance to meet the entire range of short-term fund requirements that arise within their day-to-day operational cycle. R Corporate Services Pvt. Ltd. is a dynamic company driven by next generation entrepreneurs, who have imbibed values like trust and dependability into the very core of the company. It offers a comprehensive range of services for business set up including Entity Setup, Talent Solution, Accounting & Compliance, Consulting and Assurance Services. We liaison with following banks for our client requirements. Following are the various products which are dealt with and advised to client as per their requirements. Looking for Loan For Business Start Up India ?